Formulated with a patented blend of bio-active milk and plant extracts to help supplement your saliva’s natural defence systems, provide essential anti-oxidants and reduce the risk of periodontal problems associated with excess salivary glucose and free radicals. The mild-tasting formulation includes the DUOX system to help maintain your mouth’s natural balance, promote mouth health, freshness and comfort. Formulated without menthol or alcohol making it easy to tolerate and does not sting or burn. Recommended for daily use as a rinse after brushing. Can also be used throughout the day to safeguard your oral health, freshen your mouth and provide mouth comfort. Fluoride and Xylitol help strengthen teeth and prevent caries. 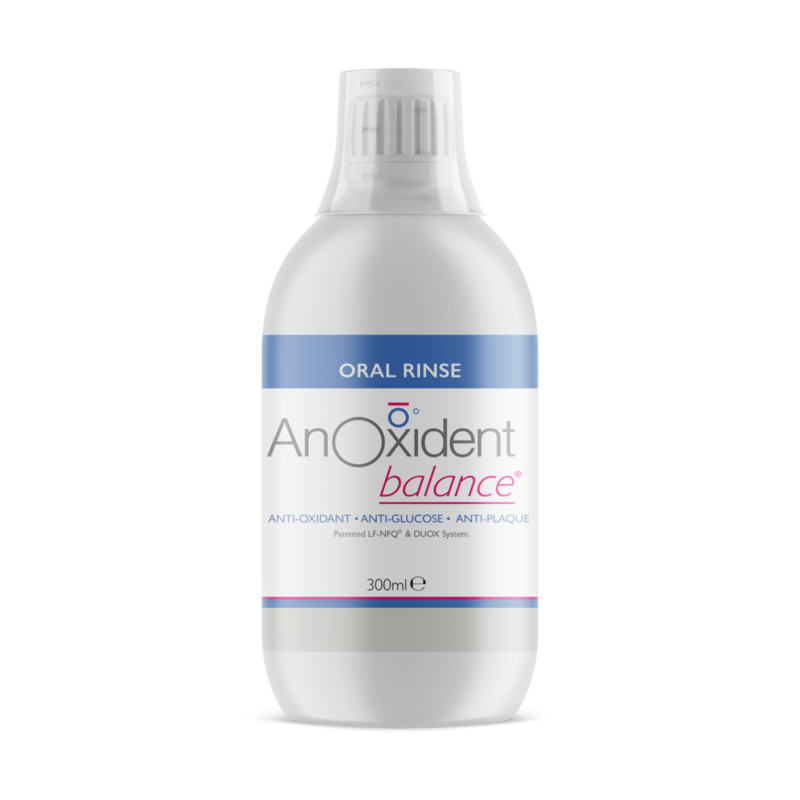 After brushing with AnOxident balance Toothpaste, rinse mouth with AnOxident balance Oral Rinse. Repeat at any time during the day for freshness and comfort. For maximum effect, simply spit out excess. Do not rinse with water. Not suitable for children of 6 years and under. Supervise children as necessary. Avoid swallowing. Contains traces of milk proteins. Consult your doctor before use if allergic to any of the ingredients. Close cap after use.